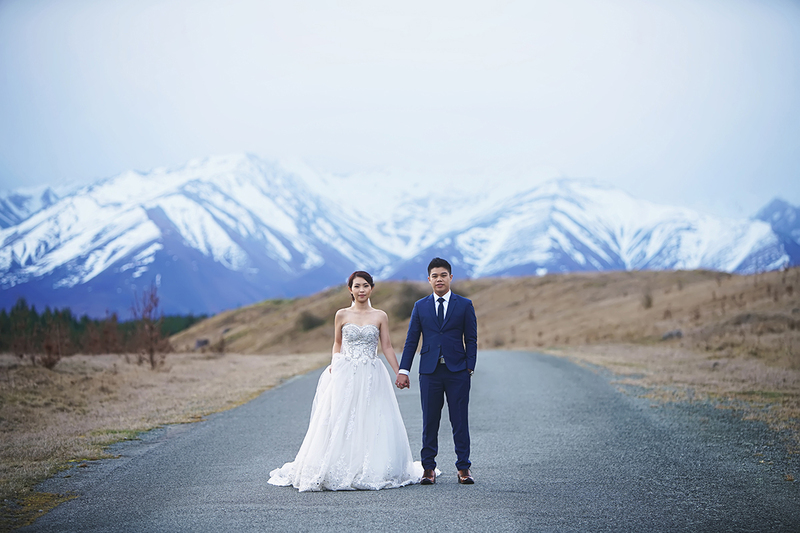 You loved Part 1 of our two-part series Everything You Need to Know About Destination Pre-Wedding Photoshoots, and today we’re thrilled to bring you Part 2 with our special guest and world-travelling, award-winning, Singapore wedding photographer – Kelvin Koh of Lightedpixels Photography! 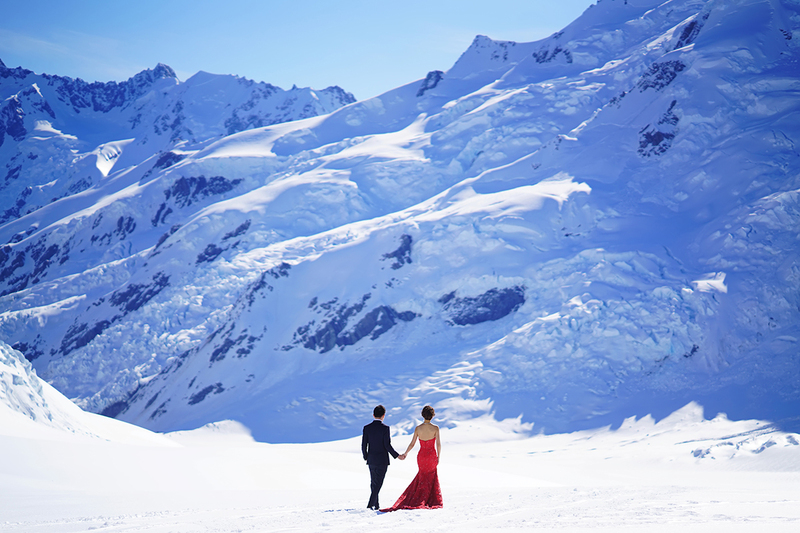 TWS: Which would you recommend – an overseas pre-wedding photography shoot or a shoot done locally? Kelvin: I don’t think either is better than the other. There are still inspiring spots here in Singapore, and it is a familiar space. It is also more convenient and less costly. 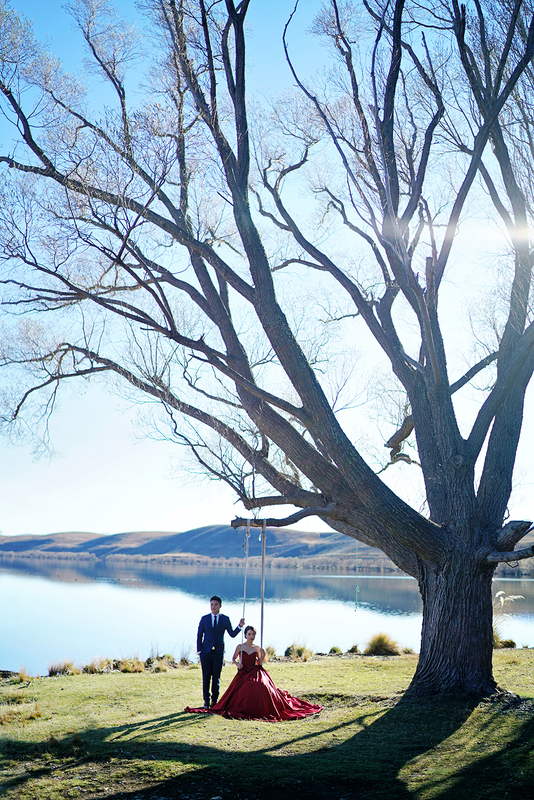 That said, if you have the time and budget, a destination shoot can be an amazing experience for you and your partner. It’s about creating new memories at a destination that is inspiring. It’s about being able to share the experience, the sights, the food and everything great that traveling brings. It really is not as difficult as you probably imagine it to be. Hiring the right people can make your shoot and travel experience so much more memorable. Many of the couples we have shot for over the years at various destinations have grown to be some of our closest friends. I have no doubt it’s because we went through a significant moment in their relationship and helped made it unforgettable. TWS: What are some of the challenges you often face while on destination pre-wedding shoots that couples should prepare themselves for? Kelvin: Quite a lot of challenges! Over the years, I have learned quite a lot about the different challenges of different locations. While it is not always possible to hire an experienced photographer at the destination city, you should at least try and hire a photographer who is a seasoned traveler. That will mitigate some risk when it comes to unforeseen challenges. That said, good value can be found in photographers who are less experienced. You just have to adjust your expectations and allow for some unforeseen challenges. Reliable partners. Be sure that your network of vendors is reliable. If your driver or hair and makeup artist is based at the destination, be sure to be in constant communication especially closer to the date. Have a plan B if your vendor doesn’t turn up. 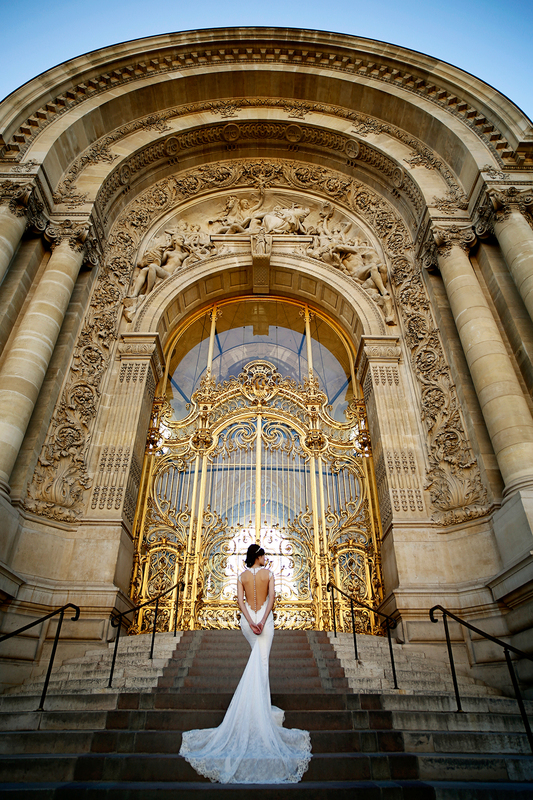 Planning a destination shoot requires pulling a number of vendors together. If you have a photographer who can pull all of them together for you, that will save you a lot of work, especially if you are not familiar with the location. 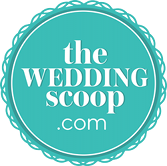 If the photographer is unable to source the vendors for you, a planner (whether at the destination or your home city) may be able to help. Some of our shoots were organised by planners, both locally and internationally. We have also had situations in the past where we were denied entry to certain locations as wedding photography was not permitted. There are also situations where it is best to pre-book a particular service when possible (like a helicopter ride for example). Also check on opening and closing times of a particular attraction that you may want to shoot at. When booking hotel rooms, make sure there is space to hold your gown and have your hair and makeup done. Most of the time, hair and makeup is done at the couple’s hotel room. Transport on the day of the shoot is another issue to consider. Typically, you can hire a driver, rent a car, or catch a cab. Each has their advantages but if budget permits, it’s almost always better to hire a driver. A local driver will know the city better, and allow you and your photographer to rest in between locations. Certain cities, like Paris for example, make it harder to hail a cab as there are designated areas where cabs can stop. So sometimes that means you have to walk quite a bit to find a cab stand. Renting a car is of course an option but check if your photographer can drive, otherwise you will have to drive. Driving in some cities can be a challenge. In Paris, parking is limited and often expensive. So too London. In London I recommend taking a London cab. They are plentiful. Uber is now also a great option, but just be reminded that some destinations, like Japan if I am not mistaken, do not have Uber. Also remember that in some cities, English may not be your driver’s first language, but it’s always easier if you can communicate with your driver because sometimes the location that you’re shooting in may require navigation. TWS: Language barriers seem to be a major concern for destination shoots. What do you usually do to overcome this? 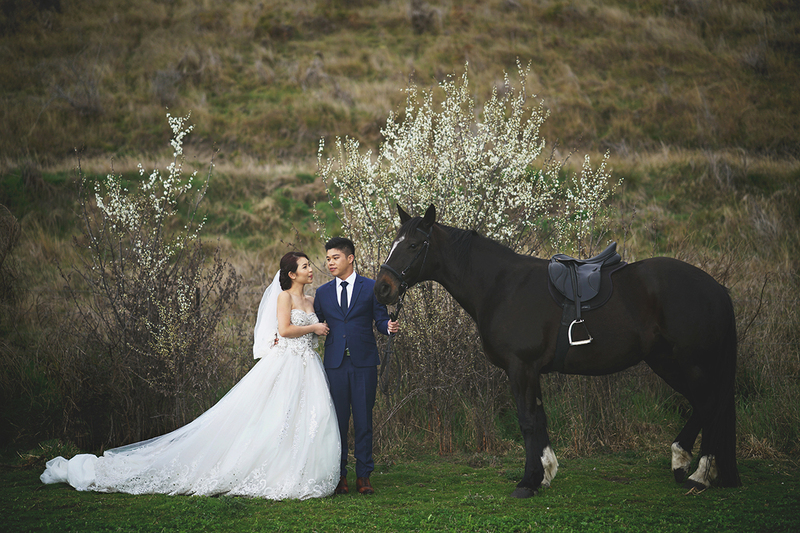 Kelvin: Getting an experienced photographer helps, because not only will your photographer be more experienced in shooting, he will also be a more seasoned traveller and can manage surprises or unforeseen situations better. For language barriers, having a local makeup artist or planner who can help translate may be useful. However, in most places you can get by without knowing the local language. TWS: Do couples need a wet / bad weather plan? Kelvin: Yes, it’s best to have one. We always advise our couples to set aside the following day. Our shoots are done in a day but we also keep the next day reserved for our couples in case of bad weather. 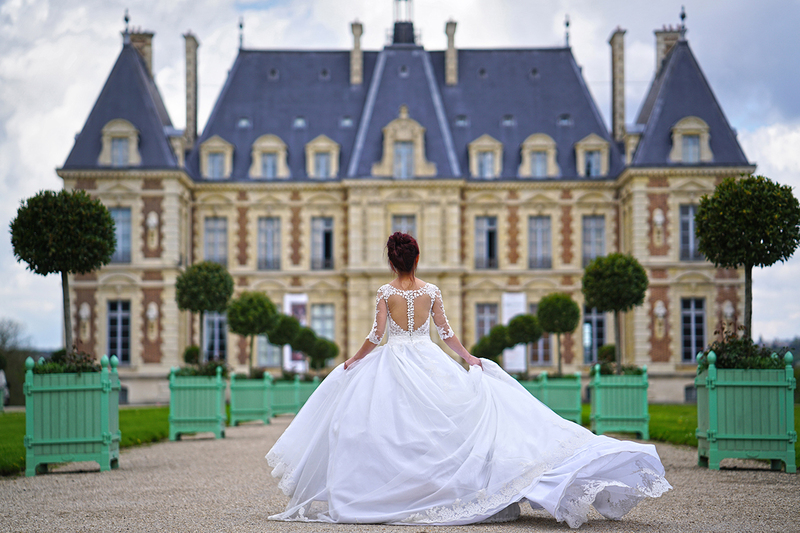 Besides bad weather, we have also had instances where the bride had cramps and the groom developed a severe headache. It was fortunate that we had a spare day to work with. Personally, I do not recommend multi-day shoots. Most shoots can be done in a day, so you really don’t want to drag it out over multiple days. It will be tiring for you and also the photographers. By the second day, most of what you will be doing will seem repetitive. The best images are taken when you are relaxed and having fun instead of being directed or commanded over a long period. TWS: What are some misconceptions that you feel couples have about destination shoots? Kelvin: That they are troublesome and tough. This cannot be further from the truth – they really aren’t as troublesome as they’re perceived to be, and are also a lot more fun than you might imagine. The trick is to find a like-minded photographer or team to help you with your shoot. TWS: Are there any ways a couple can help convey their desired look and feel of the shoot to the photographer? For example would putting a moodboard together or sharing some photos from Pinterest help the photographer? Kelvin: Yes, that will give the photographer an idea but most photographers will ask that the couples trust them in what they are going to shoot. It’s better, in my opinion, to look at the photographer’s work and decide for yourself if that is the style you desire. However, you can share some of the past images he or she has taken and tell them you particularly like those images. TWS: How can couples pack and bring along their outfits? Should they vacuum pack their clothes? Kelvin: Only two ways usually. The first is to pack it all into your luggage. The upside is that it is more convenient to lug around. However, it may crumple your outfits, so you will need some pressing or steaming services at the hotel. Portable steamers are usually very small, it can take between 3-5 hours to steam a gown (#truestory). So get the hotel to steam your outfit for you. The alternative is to hand-carry the outfits and pass them to the flight crew. This is a little more troublesome, but it should minimise crumpling. Some of the couples I have shot for vacuum pack their outfits after the shoot and send them back separately through a courier service, just so they can get on with their holiday without having to lug an additional bag along. TWS: How can couples source for items and services that they will need for their shoot (e.g. hair and makeup, flowers, props, etc)? 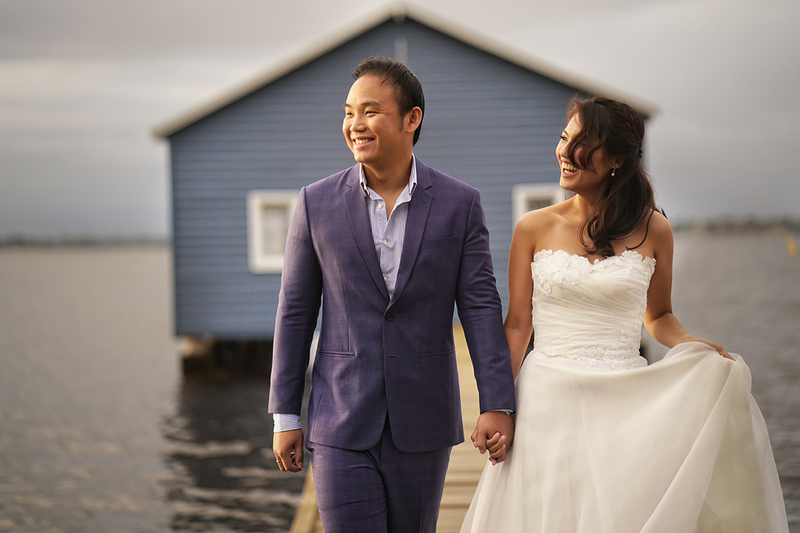 Kelvin: At Lightedpixels, we usually ask for referrals from local wedding photographers who are based at the destination. We have a network of friends that we keep in touch with, and usually go with their recommendations. Otherwise, we Google or use Instagram and hashtags! For flowers and props, we normally ask the makeup artist who is based there! Otherwise we again turn to friends who are based there, or even ask the hotel concierge to help. 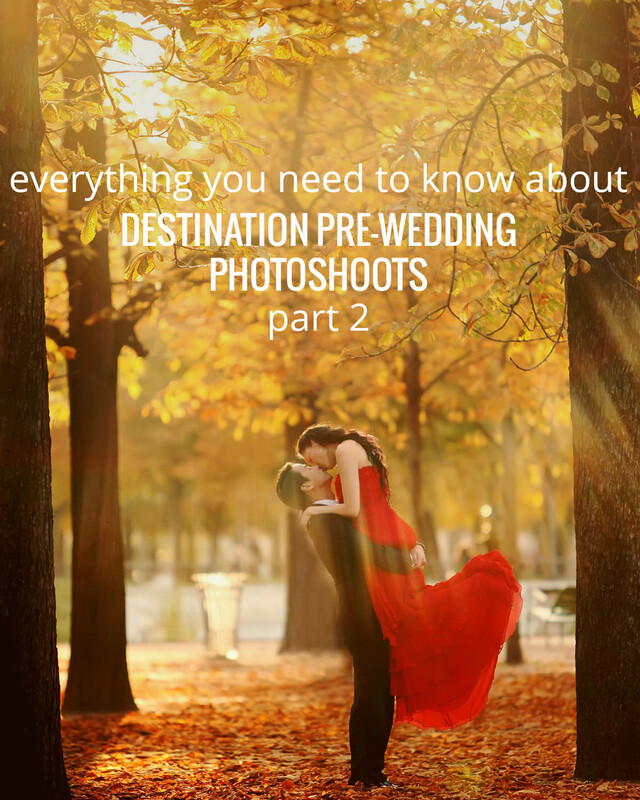 That’s it for our 2-part series Everything You Need to Know About Destination Pre-Wedding Photoshoots! If you missed Part 1, check it out here. 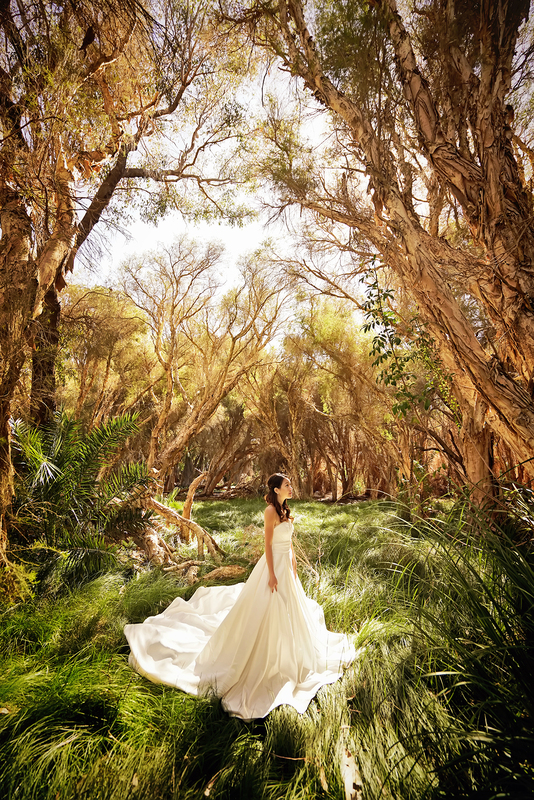 We hope you found this series useful and that it’s inspired you to explore the world on your pre-wedding shoots!